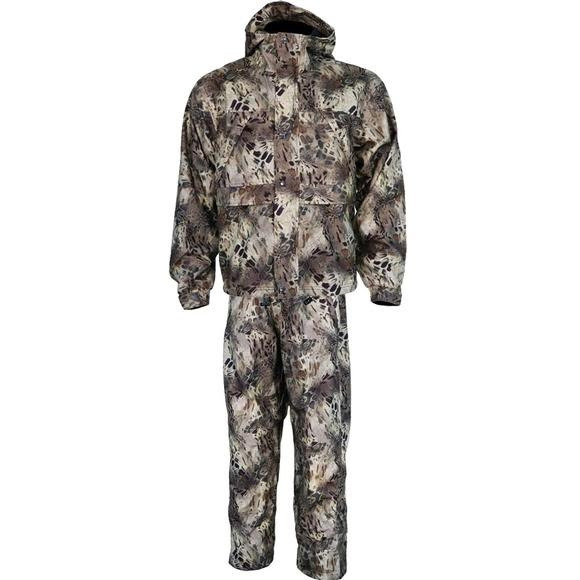 Waterproof and breathable this weatherproof jacket and pant set from World Famous will keep the elements at bay so you can concentrate on your stalk in comfort. Ample cargo space keeps your gear handy and organized and a license tag holder keeps documents easily accessible. This suit is so quiet as compared to other suits. The camo pattern blends like no other I’ve ever used. Simply, amazing!